According to the map of the Asia-Pacific, the second language of Australia is Mandarin Chinese, reflective of a large Chinese population in the multicultural nation. 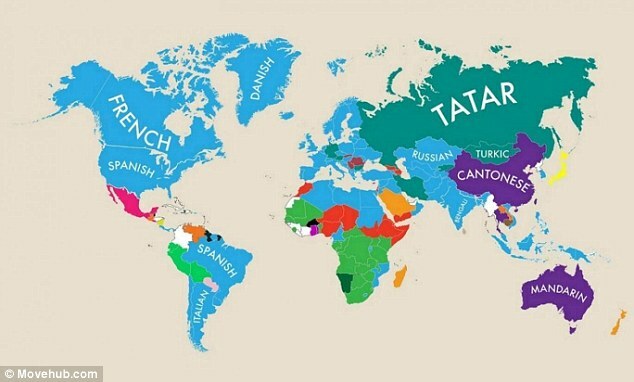 China's second language is Cantonese, while tropical nations Malaysia and Singapore have many English speakers - with many natives also fluent in English. South Korea's second language is also English, while Japan's is Korean - indicative of the controversial history between the two countries. The second language of countries which were ruled under the Soviet Union - Estonia, Latvia, Lithuania and Ukraine - remains Russian. France and Italy hold English as their second language. As Romania, Serbia and Slovakia used to be members of the Austro-Hungarian Empire, they still hold Hungarian as their second language. 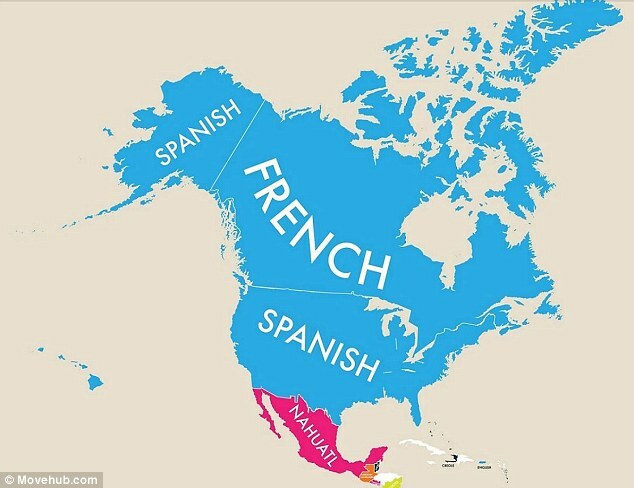 Spanish is the second most popular language in United States. Canada's official second language is French. Mexico's second language is indigenous Nahuatl (historically known as Aztec). The native Quechua is the second most spoken language in Ecuador, Peru and Bolivia. Brazil inherited Spanish as a second language while Suriname holds English - reflective of British colonisation at the start of the 17th century. 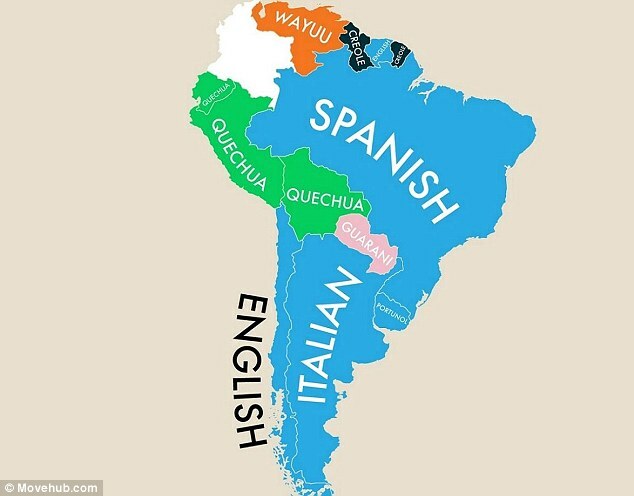 Chile's second language is English, while Argentina's is Italian. 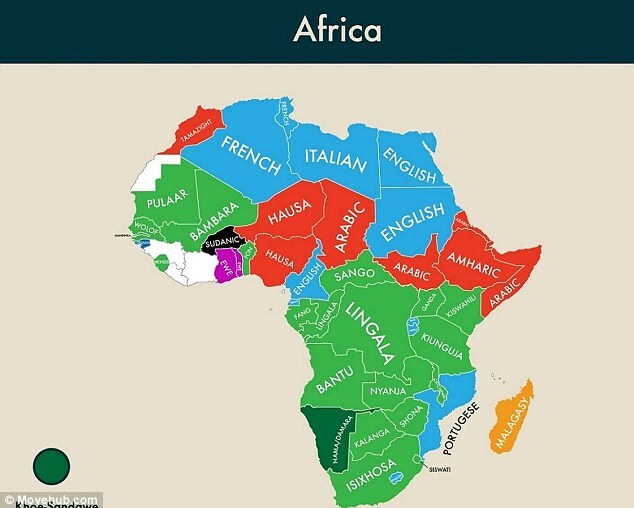 The majority of Africans speak English, Italian or French due to colonialism. Algeria's second language is French, reflective of France's colonial occupation of the state. Do you or your nation have a surprising second language?